OGDEN, Utah – Isaac Farley knows what it’s like to be homeless. He’s been there. He remembers watching his mother and siblings struggle. He remembers the help his family received from kind strangers. Now that Farley is in a position to do something about homelessness in Ogden, he is. An entrepreneurship minor at Weber State University, Farley created O-Town Kitchen, a nonprofit organization that employs homeless parents to make and sell canned and baked goods. Farley, right, with other O-Town Kitchen participants. 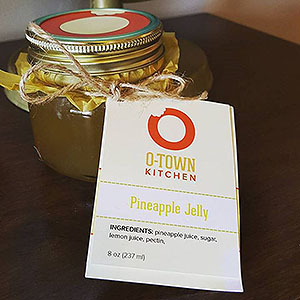 O-Town Kitchen collects food donations from retailers and restaurants — food that is near expiration, is in dented cans or is the wrong shape or color — and turns them into breads or jams and jellies with unique flavors such as pineapple, root beer, tomatillo and lime. The kitchen employs homeless parents from Ogden’s Your Community Connection (YCC) shelter to make the products, using processes approved by the Utah Department of Agriculture and Food. “We are employing homeless people here in Ogden, and we are cutting down on food waste locally,” Farley said. 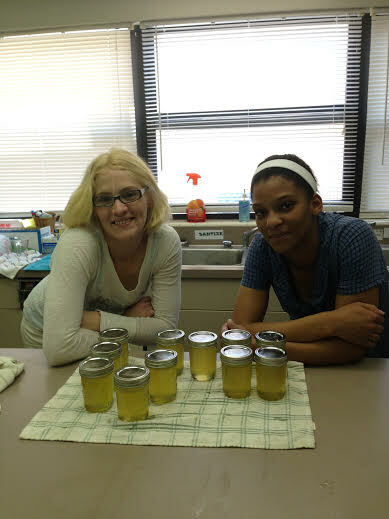 The preserves are sold at local farmer’s markets, where people are drawn in by samples and the unusual flavors. While working on a research project for class, Farley found that homeless families are the fastest-growing part of the homeless population in Utah. According to Utah’s 2014 homeless report, about 46 percent of Utah’s homeless population consists of families. Many headed by single mothers or mothers with children fleeing domestic abuse, he said. Unemployment is a major cause of continued homelessness, Farley explained, and O-Town Kitchen provides a way out. Participants learn to cook, package and market. They also gain valuable interpersonal skills from sales that will help them transition into more stable jobs. 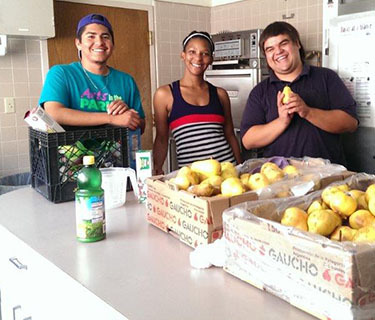 In its first three months of operation, O-Town Kitchen saved, redistributed or repurposed more than 500 pounds of food. Farley credits his success to the principles of building a sustainable business he learned in WSU’s Hall Global Entrepreneurship Center, in the John B. Goddard School of Business & Economics. He said he came up with the idea for O-Town Kitchen a long time ago but wouldn’t have pursued it without the help of his classmates, especially his friend Nestor Robles, who is the vice president of O-Town Kitchen. Farley said Robles was indispensable in getting the project started, as was assistant professor Dave Noack, who is WSU’s Hall Endowed Chair in Entrepreneurship. To Farley, the spiritual side of his project is as important as the business. Farley hopes to pursue more ventures in the future. He said he would prefer trying to solve problems instead of complaining about them. 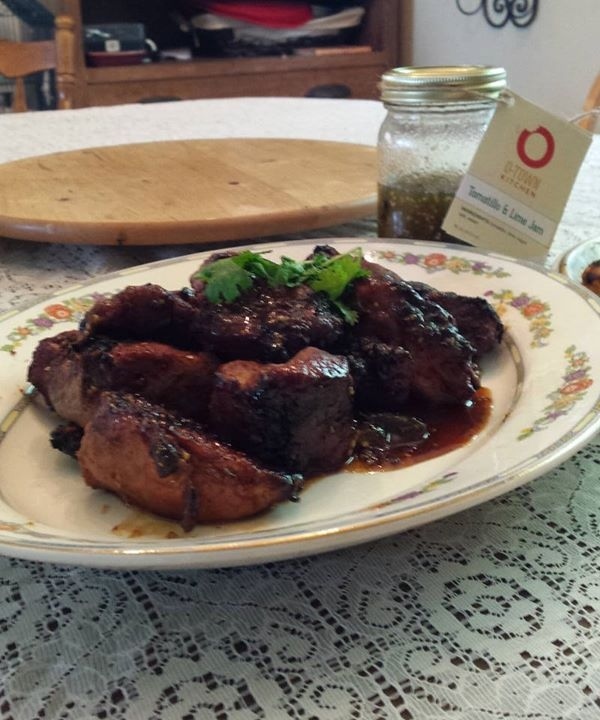 O-Town Kitchen products will be available through the end of September at the Ogden Farmer’s Market. The O-Town booth will finish the open-air market season at Motor-Vu flea market in Riverdale. Farley plans to move to online sales in November. Food and supply donations may be taken to the YCC in Ogden every Monday from 2-5 p.m. Monetary donations can be made online. Learn more about O-Town Kitchen at otownkitchen.org. For more information about WSU’s entrepreneurship center, visit weber.edu/goddard/Hall_Global_Entrepreneurship.html.